Such a moody vampire story. In many ways, it is a coming of age story. It just happens that the people involved are vampires. I loved seeing the story from the vampire perspective. What would happen if you were a vampire, but didn't know it? What happened when you found out? How would you react? I especially loved Rowan. In many ways, he's the traditional romantic style vampire, but doesn't know it. 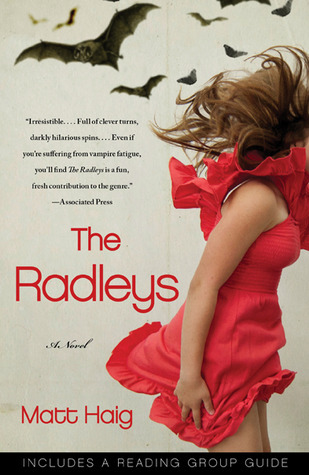 This book is a refreshing change form the Twilight style vampire story. BTW the author questions at the back reveal that Matt Haig sees Robert Downey Jr. as Matt Radley. Delicious choice! I would love to see this book turned into a movie.